This year’s Liverpool Law Society’s Personal Injury Conference will focus on the business side of personal injury. The conference held annually in Liverpool is a chance for personal injury solicitors to listen to renowned experts and to discuss current issues in the world of personal injury. Following the Jackson reforms which came in to force in April this year, the conference will focus on how law firms can survive in a post-Jackson world. 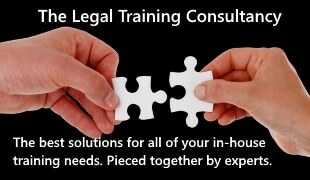 As a result, the June 19th conference will see marketing gurus and legal journalists taking their place on the podium alongside seasoned speakers such as Professor Dominic Regan, author of Surviving Jackson – Developing a Profitable Personal Injury Practice for the Future and Stewart McCulloch owner of Compass Costs Consultants. New to this year’s conference is Ian Cooper, a world renowned business development speaker and author of the Financial Times Guide To Business Development. Also, speaking at the conference for the first time is Neil Rose editor of Litigation Futures and an experienced legal journalist in the area of costs and funding. Neil will be discussing the affects of the referral fee ban and how the personal injury market is responding in the wake of the Jackson reforms.